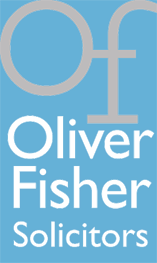 The only quoting and referral system your conveyancing team need. 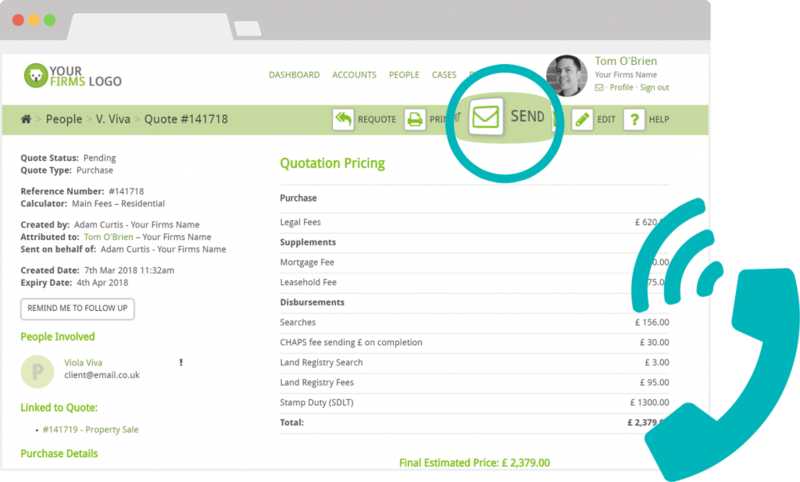 Everyone in your firm can generate quotes quickly while taking a call or seeing a client face-to-face. 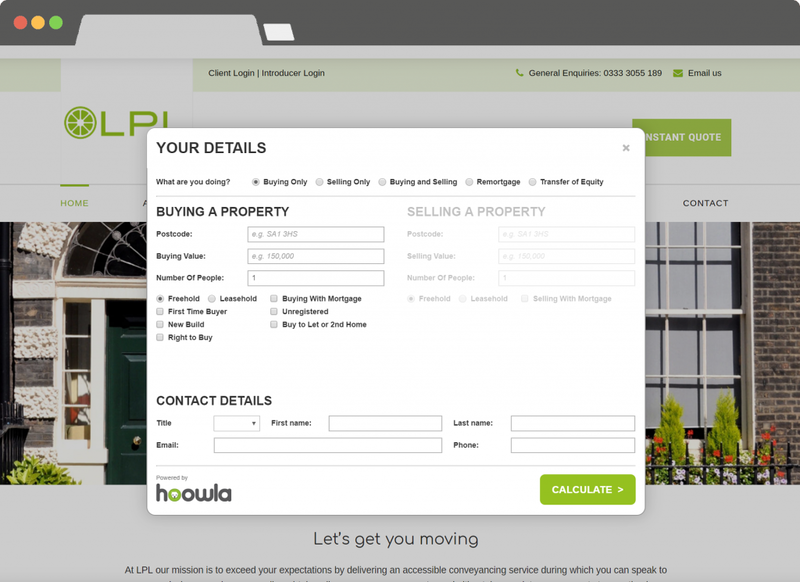 Hoowla also works on your mobile so you can quote on the move. Generate a quote in under 20 seconds. Put a dynamic fee scale on your website to allow potential clients to request an instant quote and collect leads 24 hours a day. Branded on any page of your site. 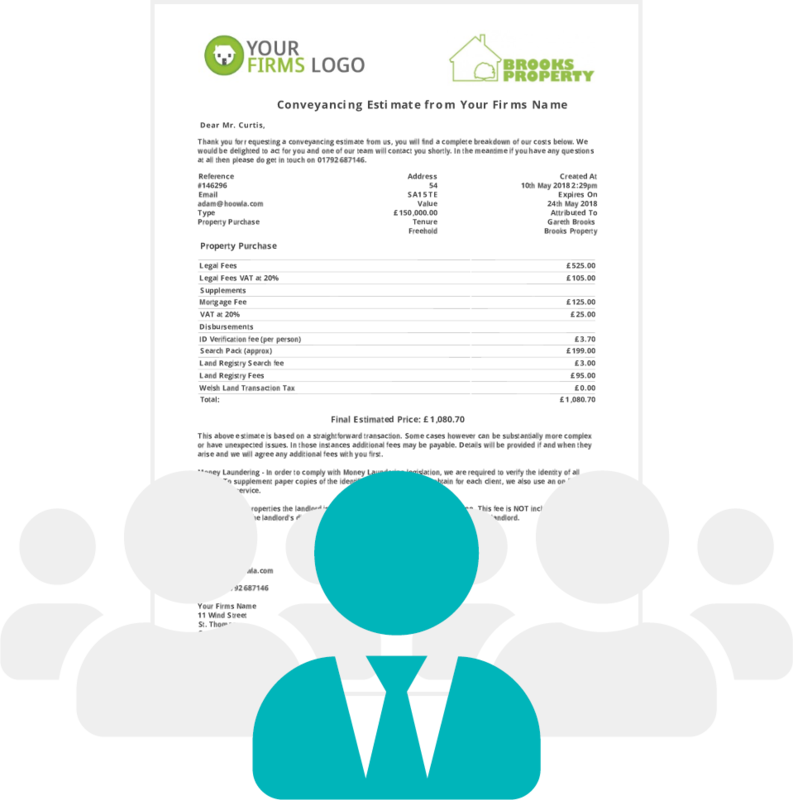 Free and unlimited access for all your estate agents and mortgage brokers, allowing them to quote on your behalf. No limit to the number of referrers you can add. Let us do everything for you. When considering any new software it is important to consider all the options. We always like making a firms life easier so we have compiled a list of competing software to review against our system.